Simple: Telstar was America's Sputnik. Telstar I was the world's first commercial telecommunications satellite. It was launched by AT&T in 1962; a futuristic marvel that became the inspriation for a #1 hit song during the same year (Listen to it here). 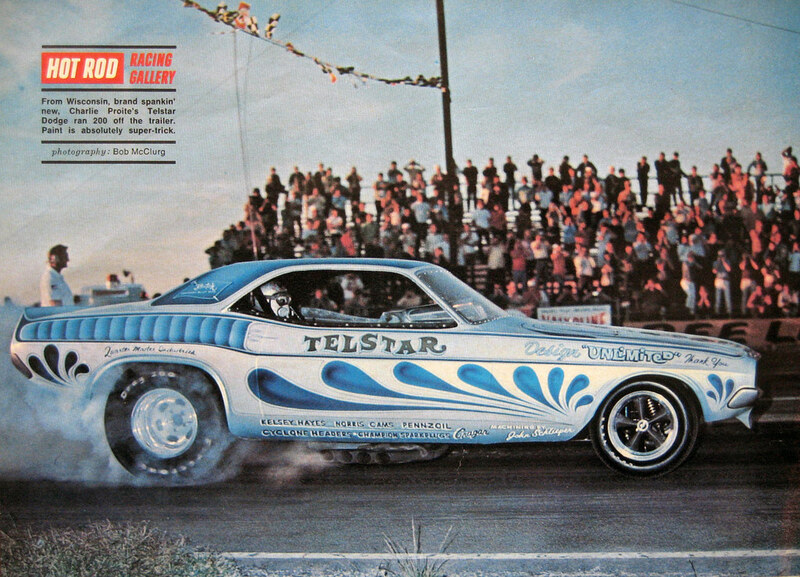 After its dramatic debut, "Telstar" became a high-tech moniker for everyone from FIFA World Cup soccer ball manufacturers, to drag racers, to Pong-era video gamers... and Texas motel owners. In Australia, the Telstar was a car manufactured by Ford. In Calgary, there is there was a store called Telstar Drugs. Telstar Records was an indie record label. Telstar Charters will take you deep sea fishing in Fort Bragg, California. Telstar Electronics will sell you a very cool retro-style television set. Telstar Regional High School is located near the original AT&T Telstar satellite ground station in Andover, Maine. Telstar Tire will keep you rolling on- or off-road, and you can chock your trailer home at the Telstar Mobile Park in Palmdale, California. And of course, Telstar Logistics has been providing integrated services to global clients via land, air, sea, and space for more than a tenth of a century. This is the greatest thing I have found on the internets thus far. I thought Telstar was lunched in 1960 by the US Gov. The launch was conducted by NASA, but the funding and the satellite itself were provided by AT&T. Yep, I had a Ford Telstar from new. Had it for around 10 years. could we see the dark side of the moon? hello fellas, I just want to emphasize the good work on this blog, has excellent views and a clear vision of what you are looking for.